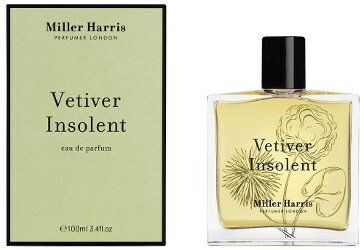 British niche line Miller Harris has launched Vetiver Insolent, a new unisex fragrance. For the fearless. A spicy fragrance with Vetiver at its heart. Vetiver Insolent was developed by perfumer Mathieu Nardin. I will update with notes when I can. Miller Harris Vetiver Insolent is available now at World Duty Free at Heathrow, £76 for 100 ml Eau de Parfum. Update: The notes for Vetiver Insolent include bergamot, black pepper, elemi, cardamom, iris, lavandin, crisp amber, vetiver, tonka bean and moss. It’s a cumin bomb. Smells similar to penhaligons halfeti when it starts dry down. Not bad but not for me! Good to know, thanks so much! I really like it and didn’t get cumin – it’s more like vintage Carven Vetiver for me. Great longevity too.